We are pleased to report that significant progress has been made at Newport over the summer period. 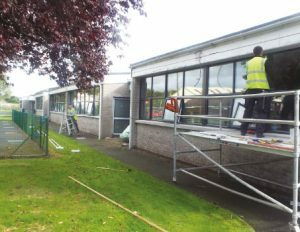 Phase Three of the project is the refurbishment of the remaining four classrooms, two cloakrooms and some other smaller rooms. This will provide a training/meeting room, three dormitory style bedrooms and two smaller bedrooms which can be used by tutors or those requiring disabled access facilities. It is anticipated that the major work on this phase will be completed by Christmas 2017, with the kitting out to be done in early 2018, subject to available funding. We therefore hope that residential training can commence at Newport before the end of the 2017/18 session.